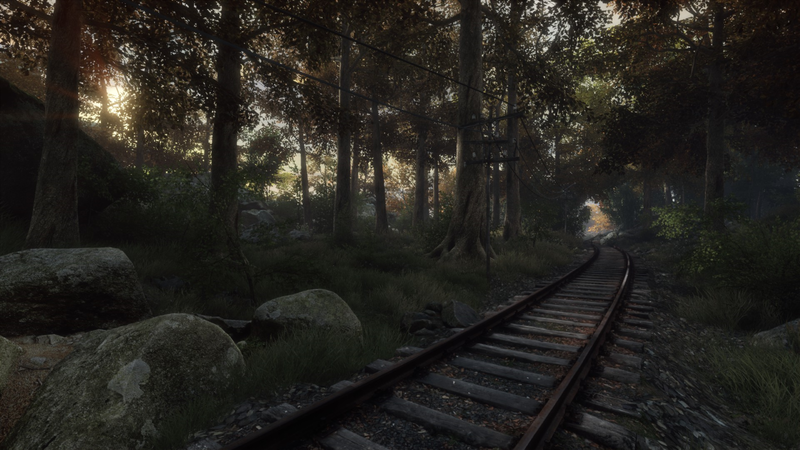 Review: The Vanishing of Ethan Carter (PC) | Action Points! Polish studio, The Astronauts, have created the most visually beautiful game I’ve ever played. 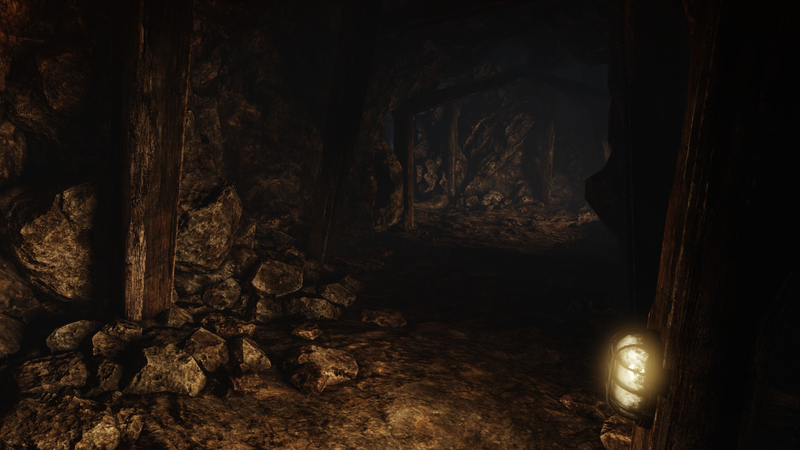 There is the danger of assuming this is just another “walking simulator”, in the style of Dear Esther, thanks to a similar organic look and feel. 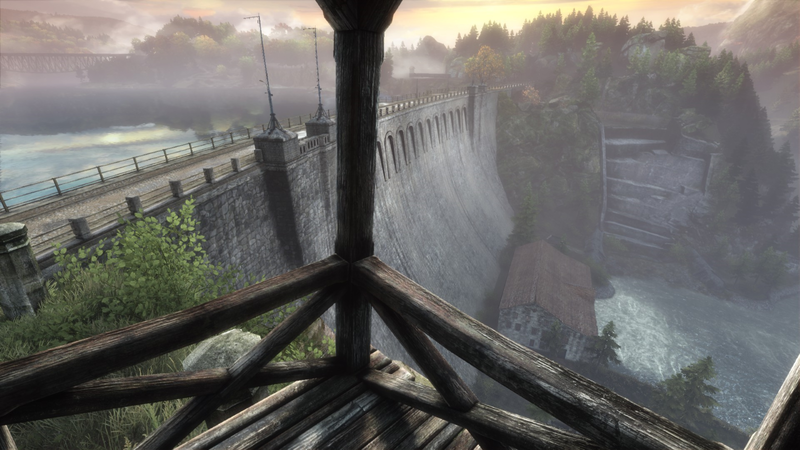 Happily, The Vanishing of Ethan Carter has gameplay that more than holds up its side of the bargain. This is as close as we’ve got to a game world that looks real. 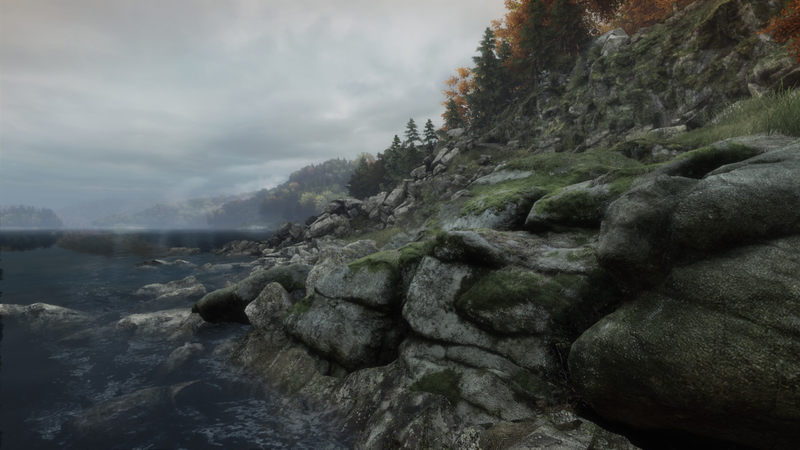 The Vanishing of Ethan Carter feels like a tech demo for the first few minutes as the player slowly realises that there are expanses of terrain to explore, all with the same gorgeous visual fidelity. 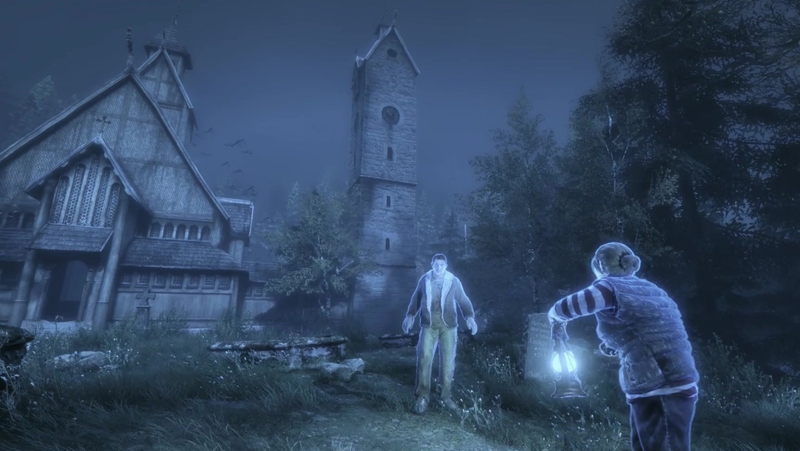 A constant motion keeps the world breathing around the player, along with excellent particle effects. The extraordinary level of detail is thanks to a technique called Photogrammetry, in which a set of cameras are used to generate the polygonal model and all the textures. There’s a constant feeling of melancholy, and many of the puzzles are well hidden amongst the detailed terrain. For a game with such a modern veneer, it almost feels strange that it would require such old-school, object-hunting mechanics. TVoEC very quickly turns into a thrilling exploration, and you genuinely feel like you’re hunting through forests and scrounging through abandoned shacks. The entire experience takes place around a few mountains, set either side of an enormous dam wall. I found myself in constant awe of the fact that these gorgeous, painterly scenes in the distance were very often accessible if I was willing to put in the virtual leg work. 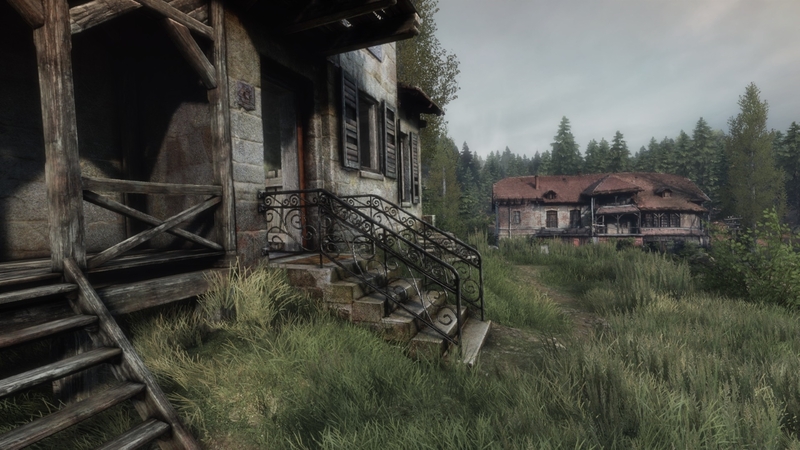 The grime and decay of a European village in the mountains has been perfectly preserved by the asset creation technique. Very few locations in the game feel pre-constructed or contrived. Sounds and music create the perfect atmosphere of sadness and unease, and surfaces and objects have an audible grit. The experience feels textured thanks to the sound design, which goes a long way towards feeling like you’re actually involved, rather than watching a film. The music never distracts, but clever audio placement adds gravity and heft, even while you’re just searching through the undergrowth. Another “older” design sensibility it shares is a general lack of instructions. Clues to each puzzle are often subtly hidden in the environment. The high level of detail, and lack of an object identification system (apart from the text that appears when you get in range) means that there will be at least a few occasions where you’ll be scouring the haystack for that needle. And what a gorgeous haystack it is. The dark secrets of this abandoned wilderness are explored through the eyes of Paul Prospero, a paranormal investigator. Mr. Prospero has somehow been called to the aid of the titular character, and he’s on a hunt to find the lad before any harm can befall him. Although TVoEC has a couple of jump scares, it’s not really a horror game. It’s tense, melancholic and unsettling, but at its core, there’s always a mystery to solve. The narrative style of revisiting past events by recreating the environment in which they occurred means that most of the tension is surrounding a history that has already played out. There are very few occasions in which the player is in direct danger. Often you’re simply walking through ghostly apparitions of important scenes as you search for the truth. These are generally well-acted, although because they can be discovered in any order, will almost certainly be experienced out of sequence. I ran TVoEC on the highest settings and my experience was silky smooth. My GTX670 showed how these beautifully detailed environments needn’t be taxing, even on several-year-old hardware. We’ve finally arrived at “next gen” graphics, and setting a new standard is what The Astronauts has worked to achieve. Not content with nonsensical, mechanics-driven kill-fests, this team (many of whom worked on Bulletstorm) have set a goal of exploring themes of violence and fear with impact and nuance, but without a body count in the tens of thousands. The update notes for the game’s first patch cheekily list one of the fixes as “sniper rifle no scope damage tweaked from 3 to over 9000”, despite the player never wielding a weapon for the duration of the game. I had very few gripes with the game as a whole. I could envisage many players finding it too difficult or too short. Once the central style of puzzle is unravelled, it is used to activate most portions of narrative. It transitions from puzzle to mechanic, and the assortment of other puzzle styles are never particularly involved. The price point ($20 on Steam) seems perfectly pitched for the amount of content, although I would pay much more if I had the option of experiencing this world with the Oculus Rift. 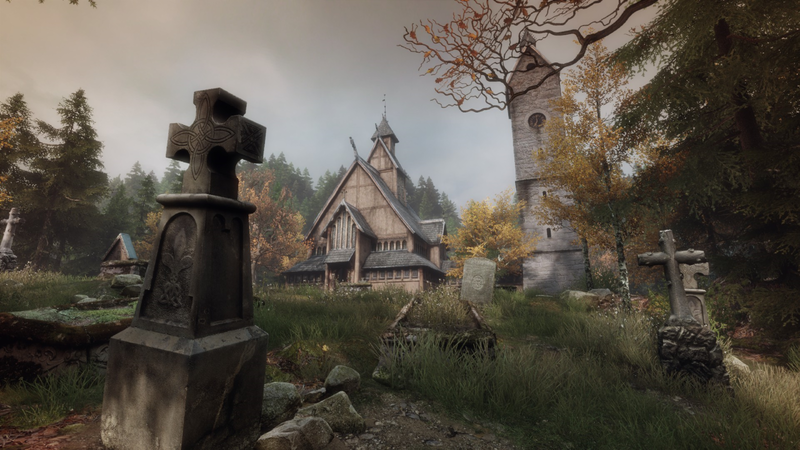 The Vanishing of Ethan Carter is a detective game done right. It exemplifies the best of past game design ideas, wrapped in the future of video game graphics. It clocks in at around 5 hours, and its conclusion will remain with you well after you’ve finished.